People who appreciate luxury living in Hawaii seek out property in Hualalai for several reasons. Over the years I’ve seen homeowners with discerning taste drawn to Hualalai for its tropical beauty. The ocean views are spectacular; the weather is nearly perfect with balmy trade winds and only 18 inches of rainfall a year. 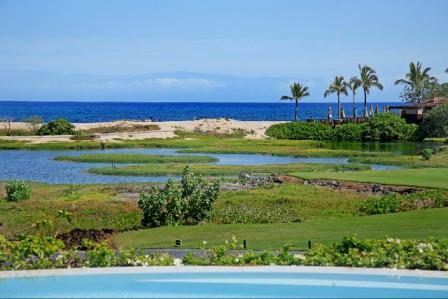 But what makes them decide to buy in Hualalai Resort is the enclave’s exclusivity and truly luxurious amenities. 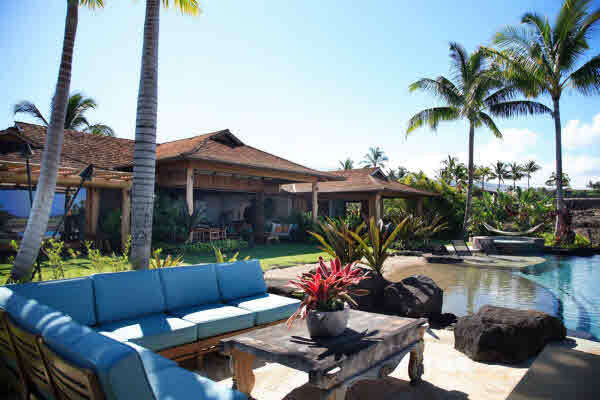 Buying property in Hualalai brings with it many benefits. Those amenities include the very best of luxury living from fine dining, to shopping, golf, spa treatments, and more. In fact, there are more than 200 activities to participate in at the Four Seasons Hualalai at Historic Ka‘upulehu and Hualalai Resort. Because I’m asked so frequently about the benefits of living in Hualalai, I’ve developed the top 5 benefits of living in this prestigious resort. Membership in the elite Hualalai Club is reserved only for property owners in Hualalai Resort. Club membership provides you with access to all the amenities that make the Four Seasons at Hualalai an AAA Five Diamond Award hotel. Among the many awards and accolades the resort has received lately, it was the only Big Island resort on the 2014 Forbes Five-Star and AAA-Five Diamond rankings, and was named to the Top 25 Hotels and Top 25 Luxury Hotels in the United States TripAdvisor’s 2014 Travelers’ Choice Awards. Golf enthusiasts will appreciate that Club membership includes access to two 18-hole championship golf courses. The Hualalai Golf Course is available to Hualalai Club members, their guests, and guests of the Four Seasons Resort. 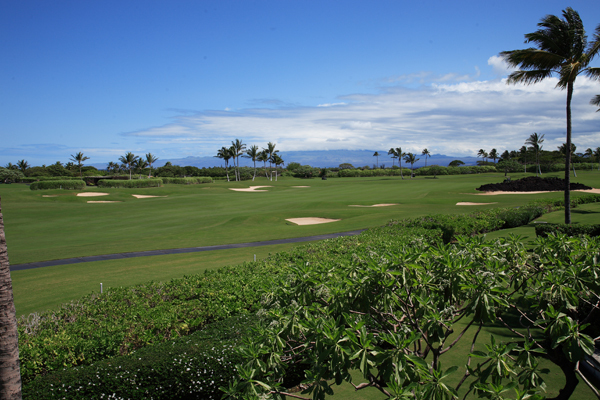 The Ke‘olu Course is available to Hualalai Club Premier members and their accompanied guests. Both courses have their own spacious clubhouse and golf shop. The PGA Champions Tour competition “Mitsubishi Electric Championship at Hualalai” is held every January on the Hualalai Golf Course and attracts the world’s top golfers. The Hualalai Sports Club offers eight tennis courts, a 24-foot rock climbing wall, half court basketball court, fitness classes, three separate gyms, yoga, and Pilates Reformer equipment. And of course there are the swimming facilities and plenty of ocean activities at the Four Seasons Hualalai Resort. The Sports Club has staff on hand that can create a custom wellness program for you. Another perk of living in Hualalai – no greens of court fees for Hualalai Club members. From cycling to hiking and polo to surfing, there are near limitless outdoor sporting activities along the Kohala and Kona coasts, including the world-famous Ironman Triathlon, which draws participants from around the globe. Conde Nast Traveler named the Hualalai Spa #1 in Hawaii last year – and for good reason. A sanctuary of natural beauty, the spa provides a soothing environment where you can relax and rejuvenate. Complementing its full range of salon services, body treatments, skin care, and massage therapies, the spa offers The Apothecary, where you can choose from an abundance of Hawaiian ingredients for your spa treatment. The Apothecary features everything from black lava salt to crushed macadamia nuts. Try the Sun Relief Ti Leaf Wrap if you stayed out in the sun too long or the Macadamia Nut Scrub body treatment to revitalize your skin. Whatever your taste in food, you can indulge your culinary senses in the variety of dining options in Hualalai. Enjoy fresh fish straight from Big Island waters, grass-fed locally raised beef, and an abundance of local produce. ‘Ulu Ocean Grille and the ‘Ulu Sushi Lounge were recently named among the Top 100 Most Romantic Restaurants in the U.S.
Hualalai Club membership also includes access to the Canoe Club, the Residents’ Beach House, Beach Tree, Hualalai Grille, and the members-only Ke‘olu Clubhouse, each of which features excellent dining opportunities. With its breathtaking natural beauty and unparalleled outdoor activities, Hawaii’s Big Island is truly a tropical paradise. Living in Hualalai is to live at the pinnacle of luxury within this paradise. There is no better benefit than luxury living your Hawaii Life in paradise. If you want to learn more about living in Hualalai, you can reach me by phone at (808) 937-7246 or via email.